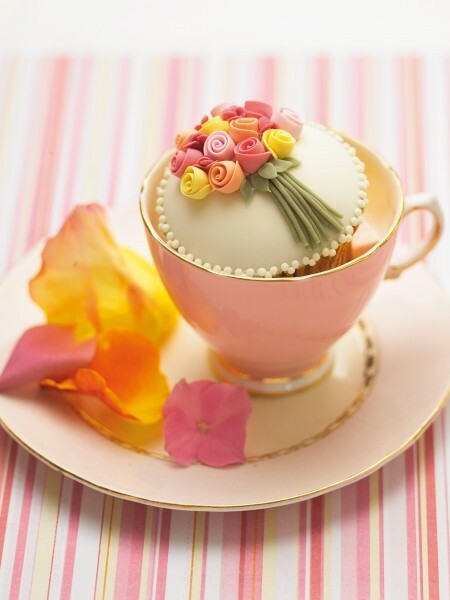 At Zoe Clark Cakes, we offer a wide selection of little edible treats to suit your occasion. Our wedding cupcakes and mini cakes range from simple to highly decorative designs to match your event. You can compliment a main cake or purchase them as an alternative. We bake our cupcakes using the best quality ingredients, and as close to your event as possible to ensure freshness. Our flavours can range from the classic vanilla and raspberry to the more sophisticated chocolate with liquor and ganache filling. 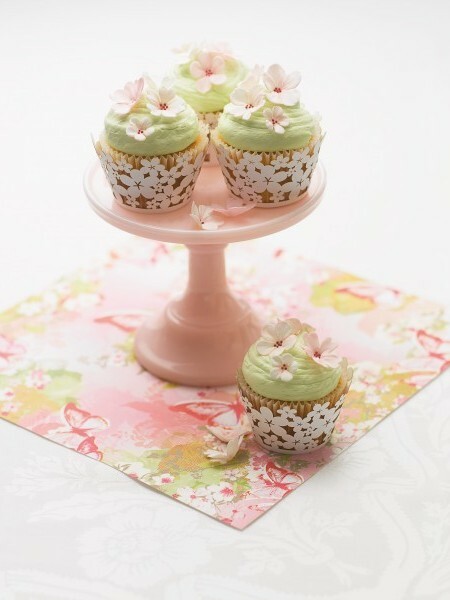 The cupcakes are then topped with buttercream piping or a classic swirl or covered with a thin layer of fondant. Furthernore, each cupcake is soaked in syrup and usually filled with conserve, curd or other delicious spreads to enhance flavour. We always use foil cases, of which we have a great variety of colours to offer. They help retain freshness as well as looking clean and stylish. Miniature cakes really are delightful little works of art, made up of small pieces of cake which are layered with sweet buttercream or chocolate ganache. They are ,then iced in fondant and decorated to your requirements. Like our cupcakes,, miniature cake prices will vary on the size, (usually around 2.5 – 3inches), quantity and amount of detail you require. For wedding cupcakes and mini cakes in particular, we recommend displaying them on a beautiful stand. You want to create impact, especially if there are an alternative to a single main cake. In addition, we highly recommend hiring a good quality stand from us to guarantee your display will look incredibly beautiful when assembled. Finally, cupcakes and mini cakes also make wonderful wedding favours and can be boxed up with complimentary ribbon.